Home to a beautiful downtown historical district, family-friendly community festivals, and major attractions such as the LEGOLAND Discovery Center, Grapevine is the perfect spot for a Texas-sized adventure. The city’s location between Dallas and Fort Worth offers visitors access to almost everything the Metroplex has to offer. From playing golf at the only NFL-themed golf course in the United States (Cowboys Golf Club) to sampling meals at more than 200 local restaurants, Grapevine has something for every traveler. 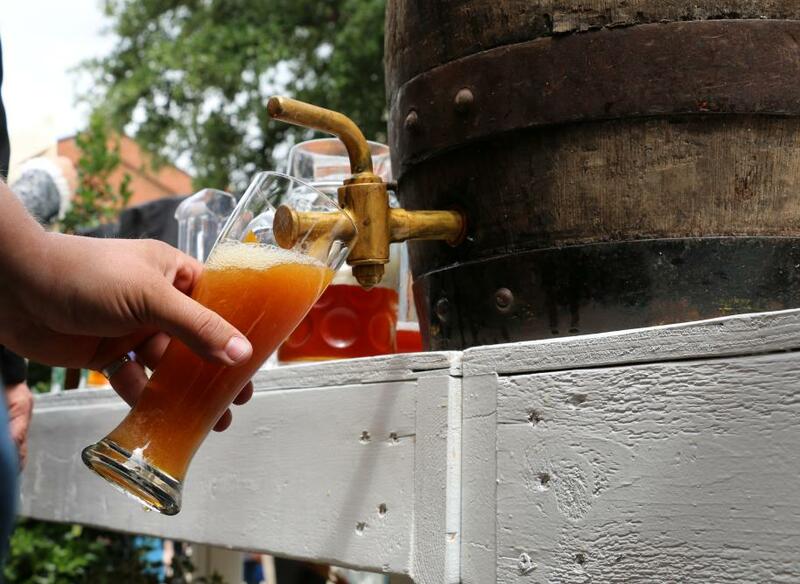 Grapevine&apos;s Main Street Fest - A Craft Brew Experience is one of the largest craft beer events in America, and will take place May 19, 20 and 21, along Main Street in Downtown Grapevine. The event is a large scale celebration of brewing and community, and organizers expect more than 200,000 attendees from all around the world. Craft beer enthusiasts will get to sample more than 75 different brews from producers all over America. Special tastings will showcase a variety of rare brews and limited batch production beers. Families will love the carnival area with rides and games for all ages. Kids can also partake in special activities such as the LEGOLAND Discovery Center Junior Builder Competition and SEA LIFE Grapevine Aquarium touch pool. Live entertainment will take place throughout the event including various performers and a vocal competition. We got the chance to interview Megan Body, Communications Coordinator for the Grapevine Convention & Visitors Bureau, to learn more about this massive brewing celebration. MB: This will be the 33rd Annual Main Street Fest – A Craft Brew Experience, presented by Bank of the West. MB: Last year, the 32nd Annual Main Street Fest had an attendance of 178,672. Main Street Fest is one of Texas’s largest craft brew festivals that brings together craft beer enthusiasts from all over the world. MB: The event attracts a wide variety of attendees, everyone from couples and friends to families with children. Main Street Fest is extremely family-friendly, offering tons of things to keep the little ones entertained while mom and dad enjoy live music and cold craft brews. MB: Each year, Main Street Fest focuses on a different element. This year, the 33rd Annual Main Street Fest will be celebrating the 200th birthday of the bicycle with brews, bites, and bikes. Attendees will have the chance to win a brand new bike! MB: The Craft Brew Experience - Sample 8 three-ounce craft brew pours, produced by more than 36 national, state, and local breweries, in a souvenir Belgian tasting glass. Additional tastings are available for purchase. Brewery representatives will be on hand during the Experience, and it’s sponsored by the Gaylord Texan Resort. Limited Releases - Nine different brew masters will present limited releases in the Craft Brew Experience. Beer and Wine Pavilions - The Texas Wine and Beer Depot will showcase wine and craft brews from across the state of Texas. The Premium Wine and Beer Pavilions will feature premium wines and craft brews from around the nation. The Grapevine Wine Pavilion will offer a selection of local wines to sample. Beer Workshops - There will be a workshop each day of the festival including Brew 101 and Women in Beer. KidZone, Carnival, and Midway - KidZone will feature returning favorites including the SEA LIFE Grapevine Aquarium touch pool, LEGOLAND ® Discovery Center Junior Builder Competition, Nash Farm’s interactive games, and more. All new for 2017 will be a special exhibit of farm animals from Grapevine’s historic Nash Farm, including new lambs. 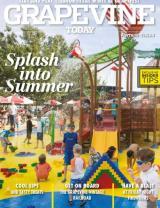 Win some special prizes at the Carnival games or hop on an amusement ride along the Midway. There will also be a selection of children’s rides located at the south end of the festival in the Cotton Belt Railroad District. Live Entertainment - Hear live music on multiple stages throughout the event. Stages include the Audi Grapevine Main Stage, the Sierra Nevada Gazebo Stage, and the Palace Theatre stage. Confirmed performers include Sundance Head, Season 11 winner of NBC’s “The Voice,” Freedom - The George Michael Tribute Band, and more. Returning is the 4th Annual DFW ICON vocal competition, presented by JG Entertainment. DFW ICON will open the microphone to talented singers between the ages seven to 30 years old. Shopping and Art - There will be an official festival store located at Main and Texas Streets selling a variety of Main Street Fest merch. There will also be more than 50 vendors selling everything from jewelry, art, clothing, and more. MB: More than 25 food vendors will be at the festival, offering everything from BBQ Brisket to Corn Dogs and Funnel Cakes. Come hungry! Check out the Asian dumplings and German-style schnitzel and bratwurst. MB: The 33rd Annual Main Street Fest is the perfect way to celebrate a Texas spring weekend. The three-day outdoor festival takes place on Main Street in Historic Downtown Grapevine, where attendees will experience true Texas Hospitality. MB: Grapevine is home to the Dallas-Fort Worth International Airport and a wide range of hotels. Grapevine offers 20 hotel properties and more than 11,000 hotel rooms within 15 minutes. Many area hotels offer deals and packages during Main Street Fest, follow the link for more details. MB: Scores of volunteers give back to the community throughout the festival. The festival benefits several civic and service organizations throughout Grapevine. MB: If you are looking for a unique and memorable experience, look no further than the 33rd Annual Main Street Fest – A Craft Brew Experience. Attendees will have tons to sip, savor and enjoy at this three-day family-friendly festival.